Do you sometimes need to use your drill in tight, confined spaces? 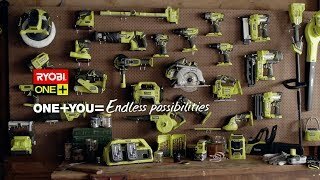 Forget struggling and twisting your arm - the Ryobi 18V ONE+ Right Angle Drill will help you get the job done in no time at all. Integrated LED light confined spaces are often dark! Onboard bit storage and magnetic holder. Enjoy the freedom offered by this cordless drill - as part of the ONE+ range, you won't have to worry about power cords getting in the way when you use this power tool and can use any ONE+ battery to recharge. It really is the ultimate in convenience. Want to be able to tackle any job, no matter what the space looks like? Make sure you pick up your Ryobi right angle drill from your local Bunnings Warehouse today.